I am an impatient optimist. New ideas excite me to the extent that they are scalable and actionable. There is no other sector where the urgency is more important than healthcare. And especially in emerging markets. Last week, I had the opportunity to attend the Grand Challenges Annual Meeting hosted by The Bill and Melinda Gates Foundation. The global health junkie in me was ecstatic to be surrounded by the movers and shakers of global development. 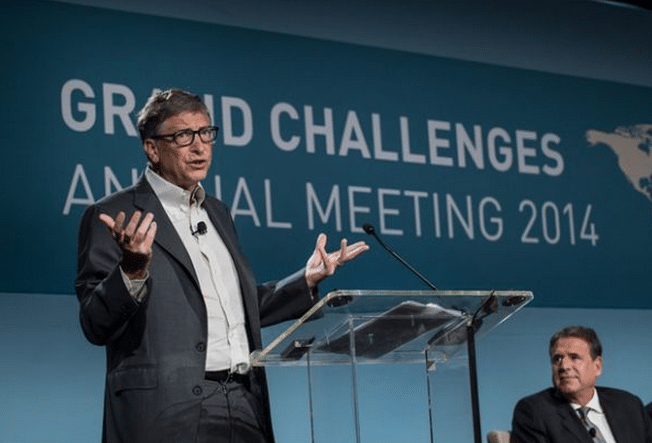 Bill and Melinda Gates truly believe innovation is the key to solving some of the world’s most intractable problems, which is why they launched Grand Challenges (GCs) in 2005. GCs are a family of initiatives fostering innovation to solve key global health and development problems. While the intention was good, the execution has hit some roadblocks. 10 years ago the Bill & Melinda Gates Foundation opened its pockets to fund scientific research from all over the world that would solve their original 14 GCs, which ranged from “developing needle-free delivery systems” to “developing a biological strategy to deplete or incapacitate a disease-transmitting insect population”. Not surprising, after announcing that they would be granting a total of $200M to the program, scientist everywhere lined up to get a slice of the pie. As of this year, more than 1,600 GCs grants have been made to science and technology innovators in 80 countries. If these new GCs look broad and generalized to you, it’s because they are. An editor from The Economist identified the challenges as “sounding more like aspirations than proposals for action,” and I’d have to agree. Don’t get me wrong, these GCs are great, no one would say they are bad ideas, but wasn’t it the specificity of the ideas that made them so special? Perhaps it was due to past GCs projects only taking baby steps towards product development rather than sprints that called for a more general approach. To date, only a fifth of the original 44 programs are moving forward from lab to market. According to Tom Paulson from Humanosphere Gates himself said that he “was pretty naive about the philanthropy’s original expectations for this initiative.” In an effort to get more traction, Gates told the crowd gathered at the Westin Hotel for the meeting, that applicants will now be required to partner with manufacturers, biomedical companies or others with expertise in product development before they’ll fund a project. During the event, Rajiv Shah, USAID administrator, also announced PACE (Partnering to Accelerate Entrepreneurship Initiative), USAID’s new program bridging philosophies from both philanthropy and business. The program is designed work with early-stage investment companies, to hire scouts to find the next entrepreneurs with innovative solutions to the world’s key development problems and turn them into a promising enterprise. 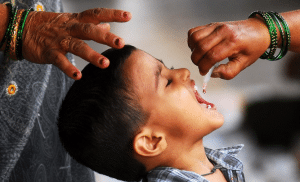 In fact, Unitus Ventures (formerly Unitus Seed Fund), the early-stage impact venture that I work for, just announced their India alliance with USAID to do just that. At Unitus Ventures (formerly Unitus Seed Fund), our filter systems runs on max power — every company that enters our pipeline goes though an intensive screening process. We check the basics of innovation, creativity, and whether or not it helps those at the base of the economic pyramid (BOP). But our key filter is scalability. Companies, in order to be successful and impactful, have to be scalable. 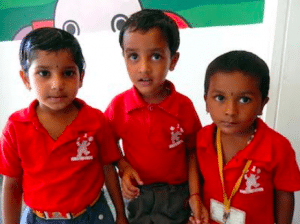 What’s the point of having an awesome pediatric clinic if you can only reach 100 kids? How much better would it be if you could reach 100,000 or 10 million? One of our recent healthcare investments, Welcare, has the potential to serve 100,000’s with affordable eye screening services saving 1,000’s of people from going blind. A patient arrives in one of their 20 screening centers and has their eyes quickly screened by a locally trained technician. 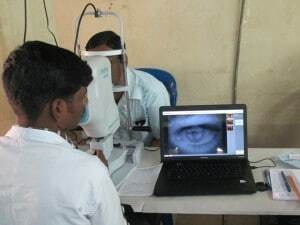 Using the machine’s Internet connection, the technician sends the images to a certified ophthalmologist who remotely reviews and reports back the diagnosis. This greatly reduces the operating costs, allowing eye screenings to be offered at an affordable price. The location of the eye-screening center also plays an important role in reducing costs for patients. All centers are located within diabetes clinics or general hospitals to allow for on-premise, immediate screening. This company combines the best of both words, an affordable solution for the BoP and a way to scale to impact hundreds of thousands more. Companies like this one will make the dynamic change that is necessary. So from one impatient optimist to another – let the innovative solutions roll!